The FHNtoday LIVE program was established in 2012, a single camera setup with no announcers. Since it has grown to a become a big part of publications. In the 2013/2014 school year it was the most viewed page on FHNtoday.com . The setup now consists of 2 cameras and a audio mixer that can support of to four announcers. The diagram below details the layout. 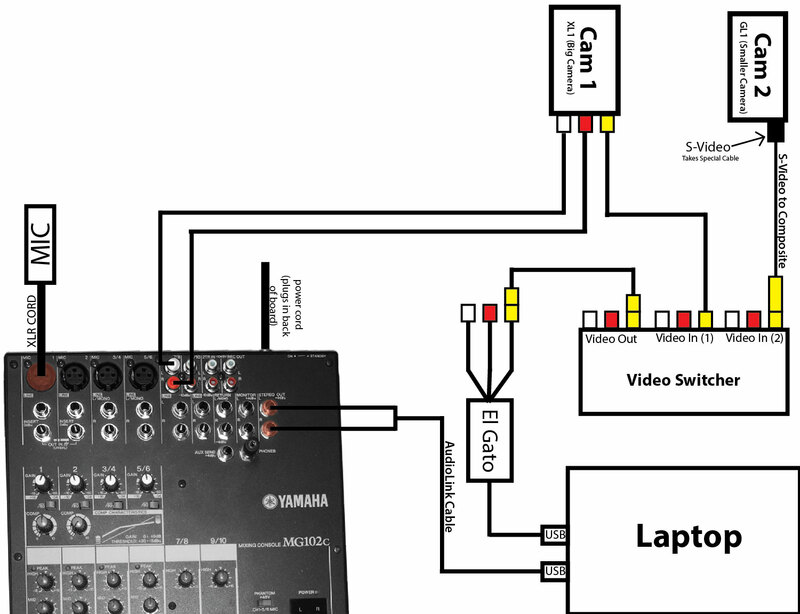 In the future I hope to create a much more streamline, and higher quality setup.